Employee morale is important for creating a positive work environment. High employee morale includes having a good attitude, feeling confident and satisfied. It is important for productivity levels in the workplace. Although as an employer you can’t decide whether your staff members have good morale, you can take action to influence it. Everyone likes their efforts to be noticed and it is even better if they are rewarded. Consider offering incentives like days out for employees who are consistently delivering high quality work. VIP tickets to attend major sporting events, like the Open Golf Championship, are ideal rewards. The Open Golf Championship hospitality packages include three-course meals, luxury transport and attentive hosts to ensure the day is unforgettable. Taking the time to get to know your staff can improve morale. If management staff engage with everyone it makes employees feel valued. Organising events such as weekly team drinks can aid with this. Simple things such as taking the time to recognise every member of staff’s birthday can also be highly effective. Additionally, the tone and manner used to address employees can make a huge impact. Try to avoid using negative language where possible. Take time to listen to concerns and make it known that employees are able to voice any problems they have. If employees feel like their needs are being taken seriously they are more likely to have a positive attitude about coming to work. Make employees feel like they are working to achieve something bigger than their daily goals. If your workplace has a wider vision, make sure this is well known. Ensure everyone knows how they are contributing to achieve this wider aim. Give employees the freedom to make their own decisions and decide how they contribute, this will make them feel empowered and in control. One way of establishing your vision is through sending positive news articles relating to your company, to show the impact of your workplace in society. No one likes to feel as if they are stuck in one role and going nowhere. Offering training and development gives employees an incentive to improve. It also makes them feel as though they are progressing in their role. Learning new skills is known to improve confidence, which in turn can boost employee morale. Have a supportive management team on hand to assist with employee learning, to ensure the experience is positive. Employers being open to change can make a huge difference to employee morale. Try changing how you run meetings, or the layout of your work environment, to engage staff. Ask for their input on how things should be changed to improve communication in the workplace. Don’t be afraid to incorporate some fun into the working day. 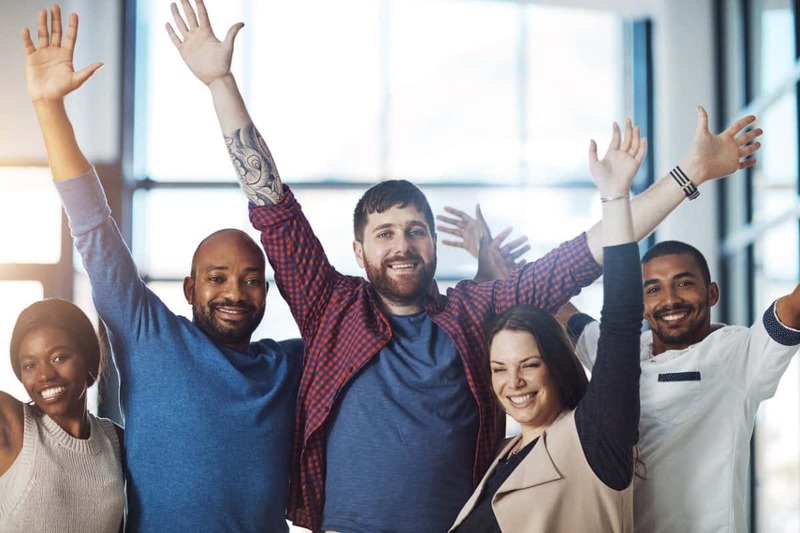 Organising team building activities can dramatically improve morale among staff because they offer a break from every day work, while also building relationships between staff members.